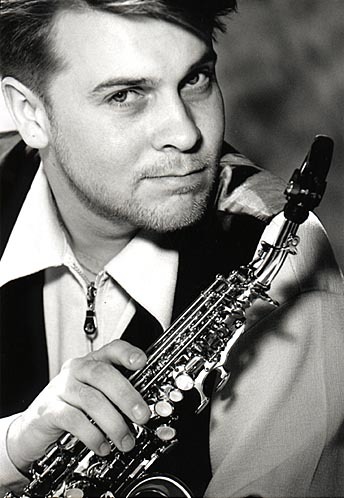 At the age of 14 Jukka Perko had saved enough money to buy his own saxophone and after 5 years of playing the sax he was recruited into legendary Dizzy Gillespie’s Big Band. 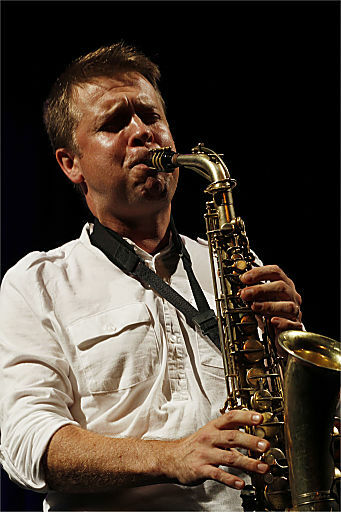 Currently he is a major figure on the Nordic jazz scene and is considered one of the best saxophone players in Europe. Every year he makes sure Finnish jazz musicians have the main role at the Viapori Jazz festival, where he is the artistic director. In May 2016 the Jukka Perko Avara trio, which fuses contemporary jazz and Finnish hymns, will release their latest album, entitled Invisible Man. Actually first came the saxophone. When I was about 12 or 13 I used to listen to ska music a lot, it was very popular in those days. Ska bands had saxophonists and the sound really impressed me. So I started to look for music where the saxophone was played and the jazz just followed. 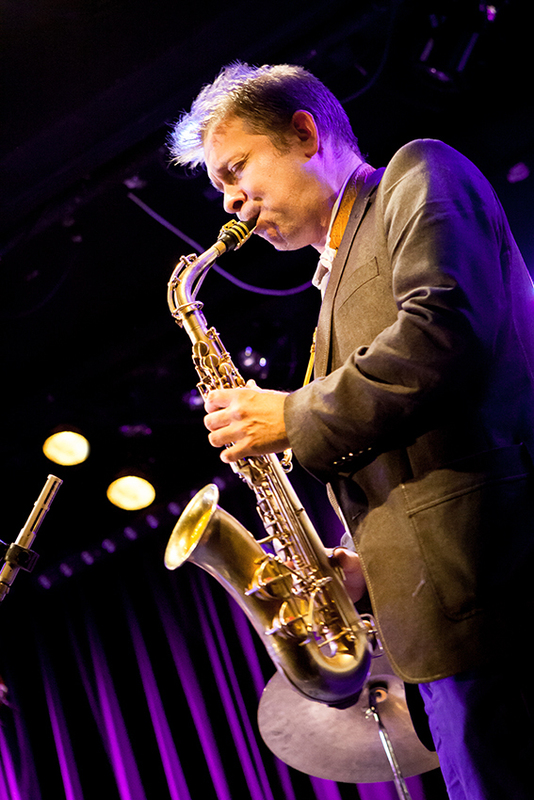 What’s special about Finnish jazz musicians? I think what many Finnish jazz musicians have in common is a mastery of the musical skills, they are very well trained. We have good schools. Finns are well known for their high professional ethic. Of course that doesn’t guarantee anything. It’s up to the musician’s skills and personality. And a bit of luck is also always needed! I don’t believe one can distinguish what is Finnish jazz except by recognising the perfect mastering of music, an excellence in style and playing. I think this is related to Finnish culture and to our extreme winter weather conditions. In order to survive you had to prepare well, you had to be able to master the surroundings. It’s always been about precision and hard work, weeding out what was unnecessary – like in our music. What draws you to jazz music? I’m attracted to the freedom and improvisation there is in jazz, or at least to the illusion of freedom. For some people freedom is to have a frame in which to work so you don’t have to think too much what to do next. Others don’t want that structure and they rebel against it. I want a framework within which I can feel free to play. So I need the freedom but I need limits to work with. I am very easily influenced by the outside world, by people, situations, ideas, I get easily triggered. I am quite open. Therefore I sometimes feel I have to shut the doors so I don’t get too much from the outside world. In the interaction of these two places is where my ideas emerge. You can be open to the world but then you also have to know how to go to your own space and ponder and work. Creativity is the gift of giving, at least it should be. It’s like a person that reacts to the outside world and then actively produces something. Are you a composer or an interpreter? I do compose but I consider myself more of an interpreter. And arranging music is important for me. I think about life as a musical arrangement. We don’t choose in which family we are born into or what will be our gender. In our lives we are given a composition out of which we make our own arrangements. It was a street musician playing medieval music. I remember it was lousy weather, a bit cold, not too many people, but it was a wonderful moment. Most probably I was also in the right state of mind. When you tune yourself into music or adjust to the music you receive it in a different way. And I refer to both musician and listener.